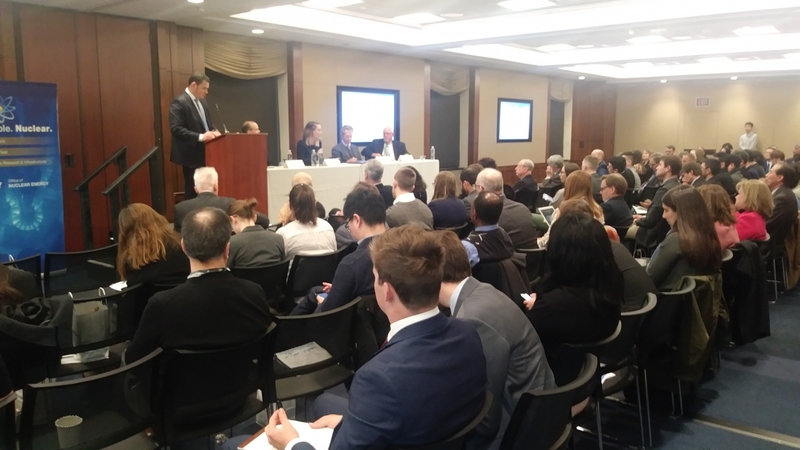 On January 29, the final report of a research study conducted by the SEAS Environmental and Energy Management Institute (EEMI) was released at a Capitol Hill event attended by 165 people, including three members of Congress. Research Professor Joe Cascio (EEMI co-director and co-PI), presented a summary of the study, which assessed the feasibility of US military forces using micro-reactors (very small nuclear reactors providing power in the range of 2-10 MWe). The EEMI study was sponsored by the Clearpath Foundation, an NGO focused on clean energy solutions. Co-PI Dr. Jonathan Deason and EMSE doctoral student Ryan Gabel also participated in the event.